Registering as a member on weADAPT is simple, and is recommended to make it easier to find information, connect with other members, and share content. Registering on weADAPT allows you to add comments to Articles and Case Studies and to participate in our Discussion Forums, which are linked to the different Themes and Networks. Click on the 'Register' button at the top-right of the page (next to 'Login'). On the 'Account' tab, choose your name, username and password and provide a valid email address. You can add details about yourself and your work in the 'Tell us more about you' tab, such as your job title, a profile picture, the organisation you are associated with and text about yourself. You can also provide subjects of interest, which will help us deliver tailored content to you as we develop the platform. Under 'Personal details', you can provide details of where you are based. You can also link to your personal website and to your LinkedIn account. You can also tick the box to receive our fortnightly newsletter with weADAPT's most recent content. Click on 'Register' and a confirmation email will be sent to you. You can now log-in and access the platform just as before but now you also have your own profile. You can go to your Dashboard (personal homepage) by clicking 'My Account' in the top-right corner of the page. Here you can update your profile, add content, as well as manage and edit content you have already created/published. You can edit your profile at any time under 'Edit your Public Profile'. If you have any problems registering please email info@weadapt.org. 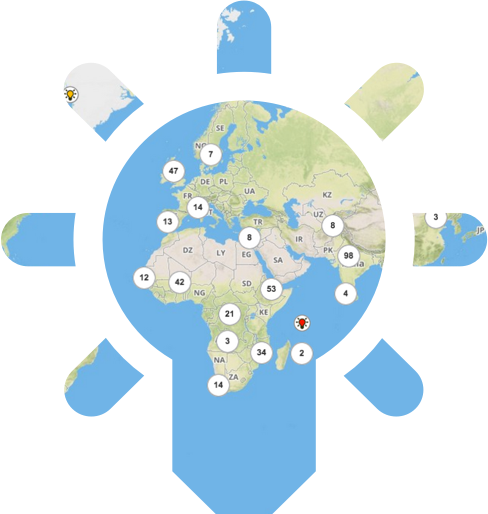 View climate adaptation projects plotted on a global map, browsable by theme or network. Find out who is doing what, and where, alongside climate station data.